January is National Blood Donor Month, and Dunkin’ Donuts is making donating more enticing with the "Pint for Pound" program. Blood is a precious resource and a necessity for patients fighting life-threatening diseases and injuries. Unfortunately, during the winter months, donations can drop off due to illness and weather. The agency is sounding the alarm to get more donations of blood and platelets that are desperately needed throughout the region. 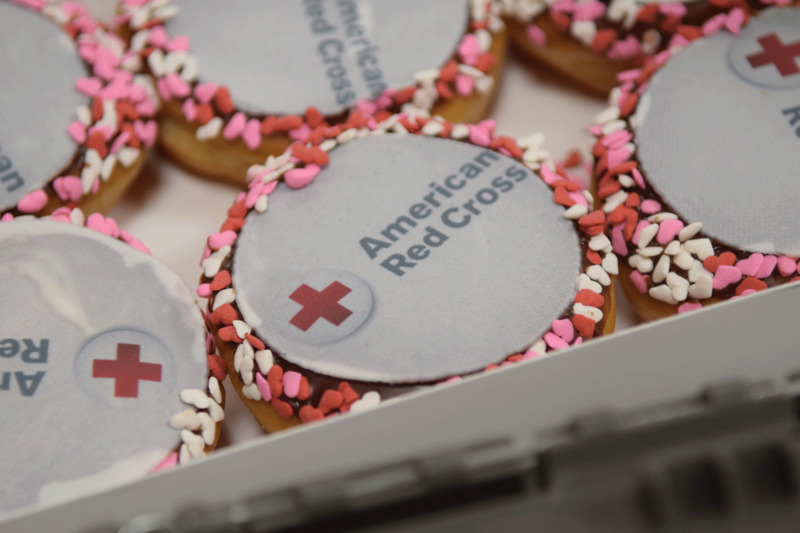 The American Red Cross is partnering with Dunkin’ Donuts to get the word out and reward donors with the "Pints for Pound" program. 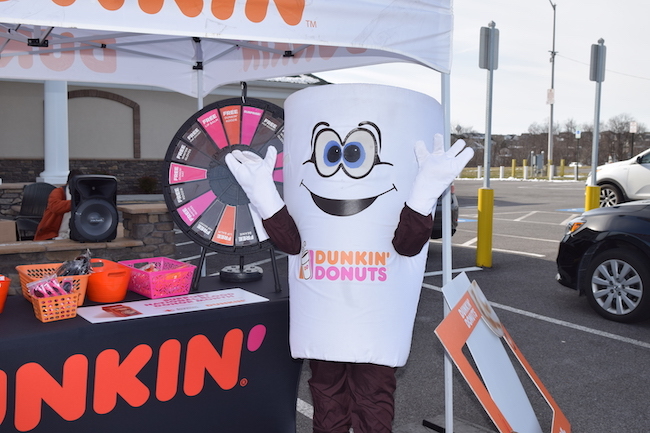 "Cuppy" the Dunkin' mascot at the Mount Airy drive on Jan. 22, 2018. For every pint of blood donated, Dunkin' will give the donor a coupon for a free pound of Dunkin’s famous coffee. The Pint for Pound program will be providing a total of 25,000 coupons to generous blood donors in the Washington, D.C., and Maryland areas. On Monday, Jan. 28, 2019, there will be a special event at the Montgomery County Red Cross Donor House in Silver Spring. In addition to a free pound of coffee, donors can take a picture with “Cuppy” the Dunkin’ mascot, spin the Dunkin’ Prize Wheel, and sample Dunkin’ treats. The event runs from 1 to 5:30 p.m., and no appointment is necessary. Donors must be 18 years old and in good health. Can’t make it to the drive? You can still donate at other sites and get a free pound of coffee, while supplies last. To find a drive near you, simply download the American Red Cross Blood app at redcrossblood.org or call 1-800-733-2767. The app can also be used to fill out pre-donation health information or find donation sites based on your location. Just remember to bring a photo ID with you to the donation site. Are you a regular blood donor? Do you get fueled up before you donate or just eat a lot afterward? Tell us in the comments! Celebrate the Lunar New Year at Ice Cream Jubilee! Get the details here.